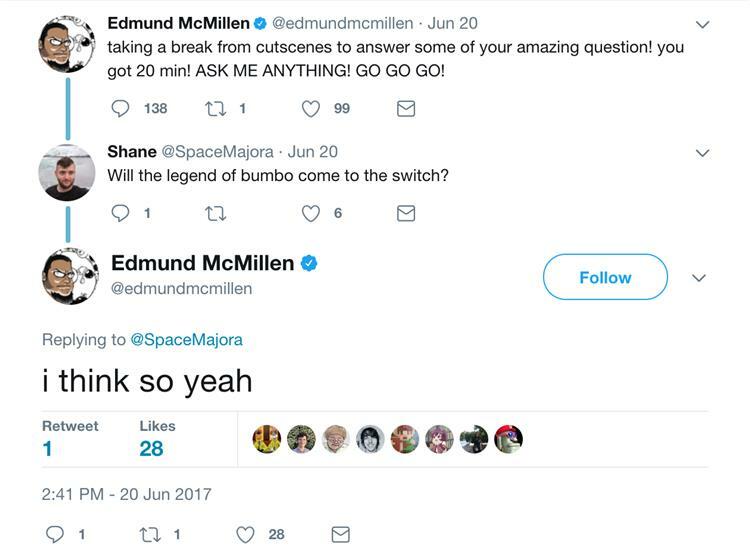 Edmund McMillen, creator of indie favorites Super Meat Boy and The Binding of Isaac said his next game, The Legend of Bum-Bo, will be released for the Nintendo Switch. McMillen suggested as such over Twitter, a picture of the exchange, which is hilariously benign, is above. McMillen's other game, The End is Nigh, is set to be released on the Switch as well, which hopefully indicates that McMillen is developing a relationship with Nintendo. It's a good fit, and a welcome one.